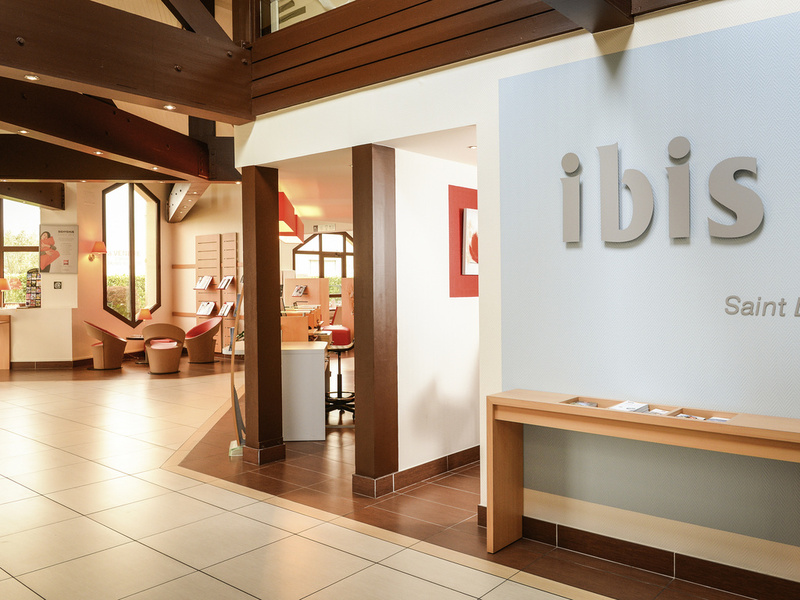 The 3-star ibis Saint-Lô La Chevalerie hotel features fully refurbished rooms, a restaurant, bar, free WIFI and a free car park. The hotel is 5 minutes from the downtown area, 2 minutes from the exhibition center, the Louis-Villemer football stadium, the aquatic center, the golf course and the Bocage Normand museum. The National Stud in Saint-Lô is 5 minutes from the hotel. For business trips, we provide 3 meeting rooms with plenty of natural light. 45 minutes from D-Day beaches, 1 hr from Mont St-Michel, Caen memorial, and Cité de la mer Cherbourg. The hotel has a restaurant, a bar that is open every day, a 24-hour snack service, a business corner and connecting rooms for families, 5 minutes from downtown Saint-Lô. Free car park that can accommodate buses. Our restaurant is open for lunch and dinner, 7 days a week. Discover our menu of traditional dishes, updated every day for the pleasure of our food-loving guests. The Rendez-Vous bar is open 24 hours a day and offers a snack menu.